Beautifully renovated former orphanage that accommodates 20 people in a top location, within walking distance from the beach. From the bedrooms you have a view of the dunes, beyond which is the sea. The house is in a quiet setting on a dead-end street, so you have your privacy. There is a recreation room with table football, table tennis and a billiard table that you can turn over to convert into an air hockey table. The ideal place to amuse yourself on rainy days or in the evening! If you would like to unwind after a day at the beach or an excursion, you can do that in the luxurious relaxation room with an infrared sauna and double shower. The garden offers a lovely layout and is fully enclosed so the kids can play care-free. There is a large trampoline and grassy field for their use. The lovely terrace is spacious enough that everyone can sit together and enjoy a fun barbecue. Wenduine is close to the beach. It's a great place to go shopping or grab a seat at an outdoor cafe, yet also makes a good base for daytrips to Bruges, Ghent and other destinations. The area is perfect for walks and bike rides along the coast, through the wooded dunes and the polders. The well-known beach resorts of Blankenberge, Ostend and De Haan are all within easy reach. And you simply have to see the little villages of Lissewege and Damme with their historic architecture. 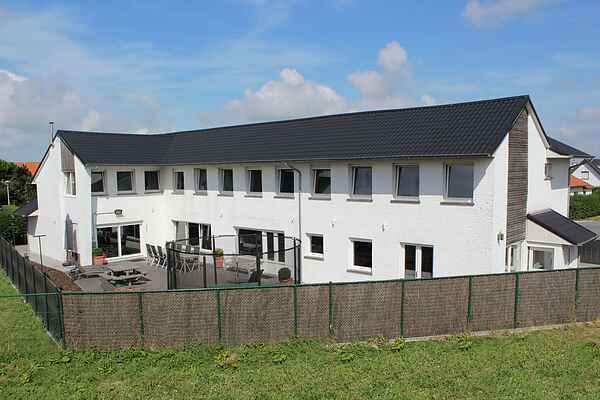 In short, the perfect place to enjoy a wonderful holiday on the Belgian coast.